It’s not the first robot designed to function as an autonomous lawnmower. 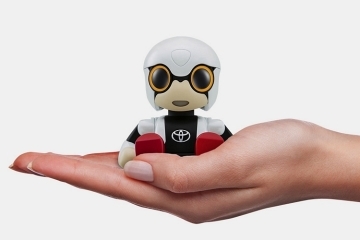 From the Robomower and the SpyderEvo to the Honda Miimo and the Kobi Garden Robot, the space has seen plenty of activity over the last few years. Despite that, the pioneers of autonomous cleaning robots have continued to stay away from that space. Well, that changes with the iRobot Terra, the outfit’s version of a grass-cutting automaton. 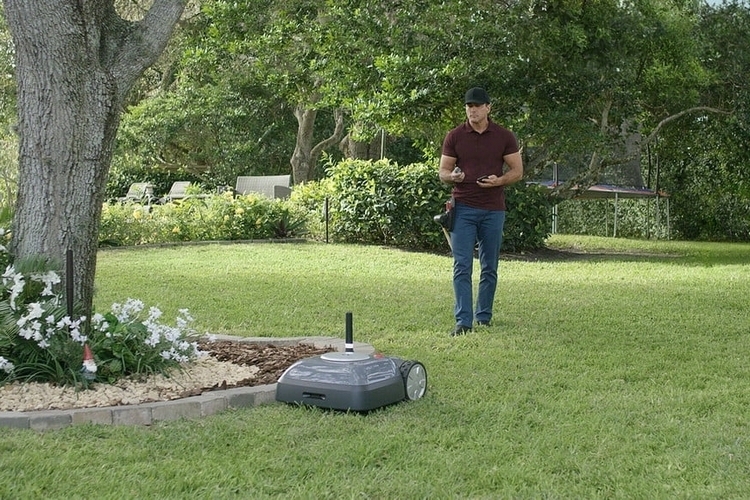 That’s right, the Roomba’s vaunted mapping tech will finally make its way into a lawnmower, so you can have your lawn trimmed with the same efficiency as iRobot’s other cleaning machines vacuum and mop various areas of the house. 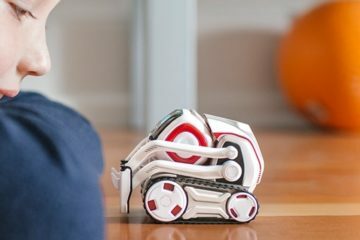 If you’re a fan of the outfit’s autonomous robots, we have a feeling you’re going to appreciate this, too, whether you want to trim the lawn in your suburban home or the large patch of land in your rural property. 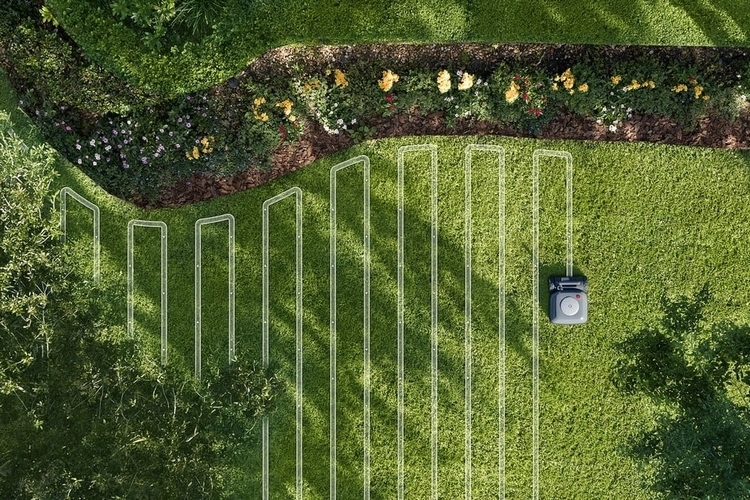 The iRobot Terra uses the same Imprint Smart Mapping technology found in the Roomba and Braava robots, allowing it to identify its location in your yard at any time, as well as which areas it still needs to cover. That way, it’s able to go back and resume where it last stopped, in case something interrupted the performance of its tasks (e.g. the battery ran low and it had to dock to recharge). According to the outfit, it mows grass the same way people do, going back and forth in straight parallel lines, so your lawn should look just as good as when an actual person takes out the lawnmower. 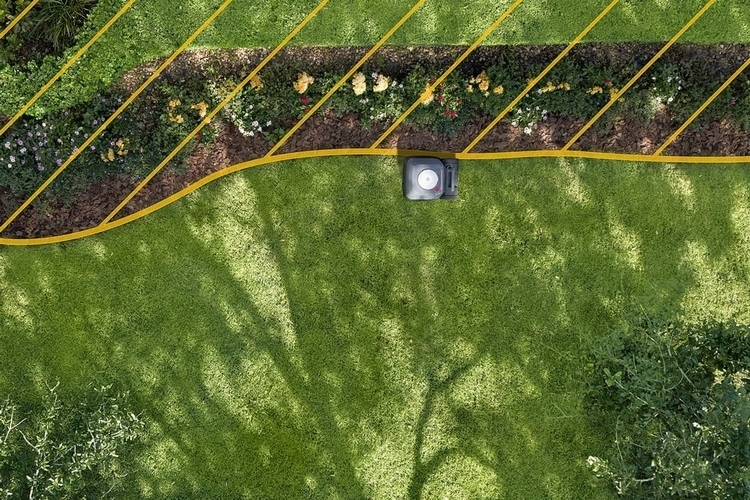 Instead of using boundary wires like the current crop of robot mowers, it uses wireless beacons that create a perimeter around the yard, allowing you to set up an invisible line to mark the exact area the robot can operate in. To set up, simply place the beacons on the ground (each one comes in a pole form factor), have it drive through the perimeter once so it can map the area, and set up a mowing schedule. 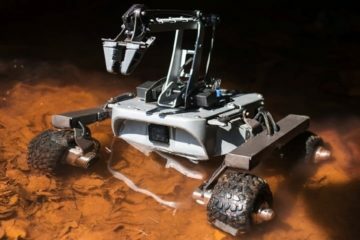 Unlike the outfit’s previous cleaning robots, the iRobot Terra is designed for outdoor function, so it comes with larger studded wheels for off-road navigation and a weatherized build to withstand the elements, so you don’t have to worry about a little rain damaging your cleaning machine. It is, of course, compatible with the iRobot Home App, allowing you to easily set the grass-cutting schedule, fine-tune the grass height precisely, and manually mark down off-limit areas. For some reason, iRobot is being very cautious about their robomower. Instead of doing a full launch like they do with most products, the outfit is doing what appears to be a soft launch – selling it strictly in Germany at the end of the year and in limited form in the US sometime after that. We’re not sure why they’re going about it that way, but we’re guessing they have their reasons for going about things in a more careful manner. No pricing has been announced. 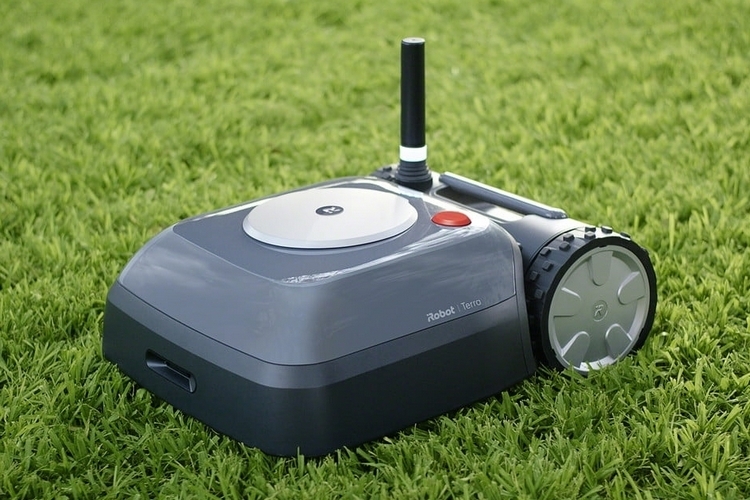 Although I prefer the Honda Miimo, the Roomba lawnmower will probably be much more popular. The iRobot Terra will be able to use the Roomba name and reputation to help sell units once they come to the US. I am assuming the Germany only release is like an advanced beta test period, so they can work out any unforeseen kinks or bugs, so when they do come to the United States they can ensure they work flawlessly as the Roomba vacuum cleaners do. So serious question, how do these robot mowers handle dog poop. Do they just mow over it or do they go around it? I don’t know about how this robot mower works, but with other robotic mowers they will literally just run it over and mow it down. It won’t hurt the mower, but it will smear the poo on the undercarriage and edges. It can be really stinky in the summer. I suggest you keep the dog poo picked up regularly so your mower won’t have to deal with it, but with that said, I never pick up my dogs’ mess and just let my mower handle it. The rain will wash it away from the grass. I, of course, don’t have kids that play in the yard so I really don’t worry about it much. A robot designed specifically for picking up and disposing of dog poo in the yeard would be the best selling gadget ever if someone invented one. I’m curious about commercial yards with this robot, like the small city park in the town I live in. Right not it is done by a volunteer retiree who has been doing it for about 5 years for something to do, but he is getting up in age and I don’t know if he’ll be able to keep up with it much longer. In larger towns and cities I am sure the robot mower would get stolen or vandalized, but I live in a small town of fewer than 300 people and everybody knows everybody. Would this robot be able to keep a 2-acre park mowed by itself, or would we require more than one lawnmower bot? If you are planning on commercial use at your park, I would suggest getting a 3 of the Honda Miimo HRM520 mowers. The Miimo HRM520 is good for up to 75 acres, so I am sure three of them would work fine. Initially, it might take a little effort to parcel the park into 3 pieces so each mower can handle its own territory. The initial investment might be higher than you are wanting with you having to buy 3 of them, but in the long-run, it would save money. You mentioned you have a volunteer now, but if no one else volunteers then someone would have to pay a person to mow it. With the Miimo HRM520 you also no longer have the expense of buying fuel for it. They do require some attention from time to time. If it encounters a problem it will usually dock and let you know. The iRobot Terra mows in straight lines like humans generally do, but the Miimo HRM520 mower allows you to choose straight lines, directional, or random. For a park setting, I would probably just go with random and let the mower robot decide the most optimal method to mowing its area and around obstacles. At parks, someone may drop something heavier, such as a metal fork if they are having a picnic. If the Miimo runs into something hard that jams the blade the blade will rotate back the other way to help reduce damage. The Miimo mower blades work in both directions both clockwise as well as counter-clockwise. It will rotate between the 2 directions of blade spin automatically so it will make the blades last much longer. I wouldn’t be worried about using it in the park, or even your front yard. The Miimo will sound an alarm if someone tries to steal it and will quit working permanently unless the owner enters their secret pin number. You can also set the Miimo to work just at night time so it won’t interfere with people at the park, but in a small town watching the Miimo mowing the park could be a popular attraction lol. I would personally just let it mow at night and daytime, whenever it chose too. They are really quiet too so it won’t be noisy even if mowing the lawn at night. The best feature of the Miimo is that it can handle steeper angles and slopes than other robot mowers. The Miimo HRM520 can mow angles as steep as 25 degrees with no problems. The Miimo, as well as all other robot mowers, will mow just a bit at a time. It is out mowing daily so it will lop off just a bit at a time. This is the healthiest way for the grass to be mowed, but it is unfeasible for human-powered mowers. The benefit to the Miimo though is that if it encounters a patch of grass that is thicker and taller, it will automatically turn t spiral cutting where it will circle the area cutting the edges down until it is to the level it should be with the rest of the lawn, and then it reverts back to normal mowing to do the rest of the lawn. It is really neat to see this in action. The Miimo can have the cutting height adjusted from .8” to 2.4”, but for most people, I would suggest just setting it at the lowest setting of .8”. You will get the best results by having the robot mower cut off less each time, but doing it more often. In my area the grass is growing much quicker in the spring then it is in mid-summer when the heat is at the highest temperatures. The Miimo will automatically mow more when it is needed in spring, and then tapers off and doesn’t mow as often when the heat is high and the grass is not growing as fast. I use my Miimo HRM520 mower at my house, but at a small city park as you have in your town I would have no qualms at all about buying 3 of them and letting them handle all of the work. The only areas you would need to really be concerned with is if there were any steep hills. Between the alarm system on the Miimo HRM520 and my renter’s insurance, I even leave it going when I leave town for a few days at a time. I put it out in late spring and bring it in early October. Other than the occasional hiccup, the Miimo HRM520 is reliable and I never need to worry about it or babysit it. Thanks for the great reply! Have you had experience using any robotic lawnmowers other than the Miimo HRM520? The Miimo is the only one I have used, but I watched a lot of videos and read a lot of reviews before I settled on buying that one. I feel it is the most high-tech robot mower on the market today for consumer use, but I’ sure it will be outdated soon the way tech evolves so rapidly. I want to get an automated lawnmower like the iRobot Terra, but my wife wants a Roomba. We can only afford to splurge on one. We vacuum more than we mow the lawn, but mowing is more expensive, especially where fuel process spike higher during the summer. Hopefully, I can convince her that the mower is the way we should go. The fuel costs for mowing can be high. You can also buy a regular walk-behind mower that is electric. One thing I really like about the Roomba is I feel like it will make the carpet last longer because it is always getting vacuumed with no chance of dirt to build-up. Fuel costs when it comes to gas lawnmowers is truly a subject that is overblown. With my lawn, I use about a gallon per mow. I mow weekly during the summer months. My fuel costs for the mower is only about $24 per year. It only gets expensive if you pay someone to service it once a year with an oil change, might as well save some money and do it yourself. The true savings with an automated robot lawnmower isn’t financially motivated, but in the time saved. Instead of coming home from work and spending an hour mowing the lawn, I can play with my kids for an extra hour. A robot lawnmower piques my interest, but I have a few questions. I would still need to manually trim the edges of my yard, correct? What happens if it hits a rock in the yard and gets jammed up? Most importantly, how will the mower react when my dog viciously attacks it. For the edges, you can place the wire, either above ground or underground. With mine, we placed the perimeter wire underground about 4-5 inches. Along the sidewalk the mower keeps the edges looking great, but along the house, I will occasionally have to manually trim about a one-inch strip. The Terra robot mower has modular shears and springs. If it hits a rock it will help prevent the blades from being damaged. I am sure all robot mowers have something similar. Blade damage on a robot mower is much less common than with a traditional walk-behind mower. If your dog attacks it and knocks it over the blade will stop. These automated mowers will automatically turn off the blade if it tilts at too much of an angle. I’d be more worried about my dog urinating on it. Why come these robot lawn mowers don’t have a bag to catch the grass it cuts? No bag is needed because they cut that grass very frequently and just lop off a bit at a time. It makes for a healthier lawn too. How long until we get a robot that can do everything? 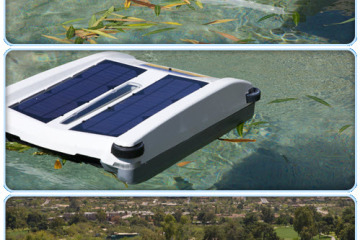 It can vacuum like a Roomba and then head outside to mow the lawn. Afterwards it can oil and maintain its own gears and sharpen its own blade, and then clean out my plumbing, paint the house, and clean the toilet. An all in one robot like that may be impossible, but it would sure be handy to have. It’s technically possible but very unlikely. 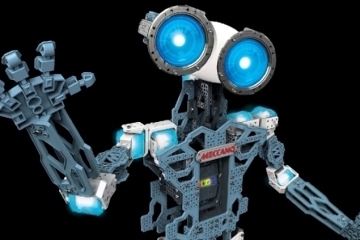 Robots are becoming more popular, but they are also being more focused. Initially, we wanted robots that could do everything, but they were only capable of simple single ideas. Now robots are often designed for a single-use purpose, such as integrated into a line at a factory. Now the pendulum is swinging again and consumers are wanting a robot that is advanced enough to handle more than one purpose. It is very unlikely that we will see a single robot that can handle and control everything, but having sperate specialized robots such as a Roomba and a robot lawnmower, but controlled by a single robot. The office manager style robot that keeps the other robots in check and on task.